Here’s a great excuse to eat cake for breakfast! It’s got eggs and oranges (fairly typical breakfast foods), and it’s made with olive oil instead of butter, so it’s “good” for you. (Well, “better” for you.) 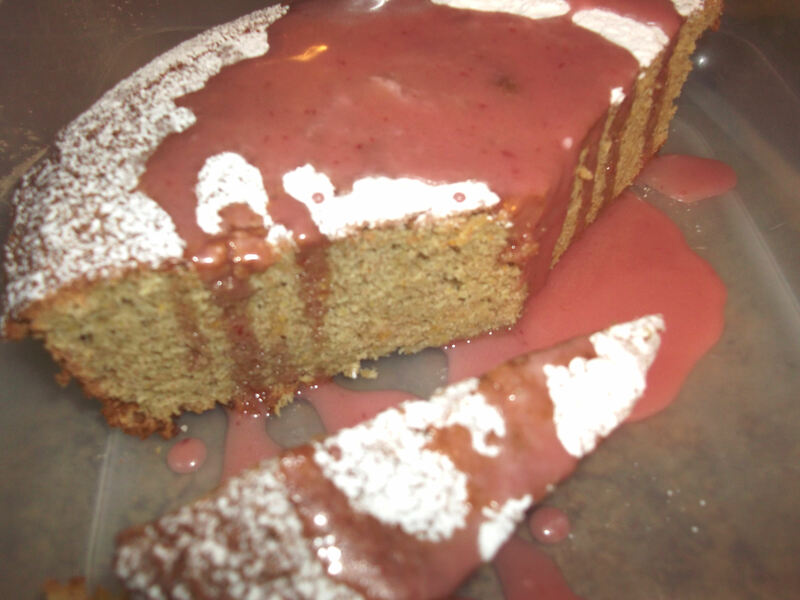 I mix in a little wheat flour in addition to the white flour for a some extra nutritive content and to lower the guilt factor, and enjoy a small slice with my morning coffee. This cake even makes a great snack or dessert any time of day. Go figure. 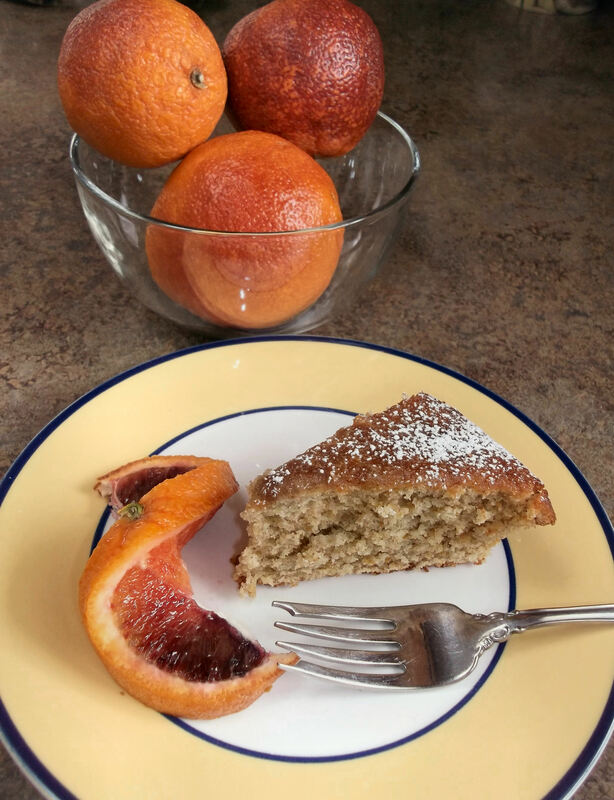 Grease a 9” round cake pan and preheat oven to 350 F. Rinse the oranges and slice off the tops and bottoms, just enough to get to the flesh, then cut into 1-2” chunks, removing any seeds. 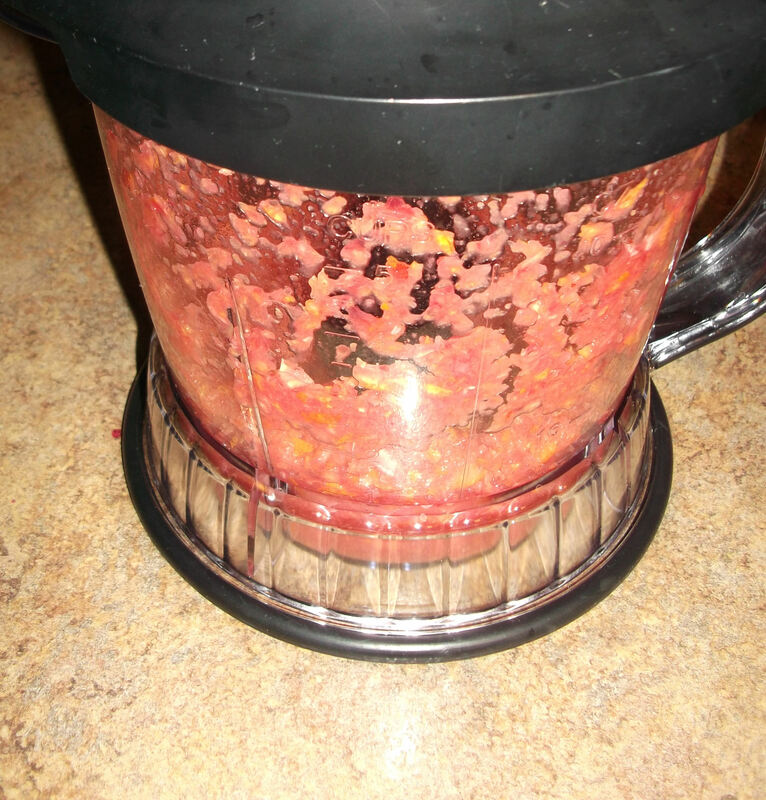 Place the pieces in a food processor and blend well. Add the olive oil to the orange mix and blend until smooth. 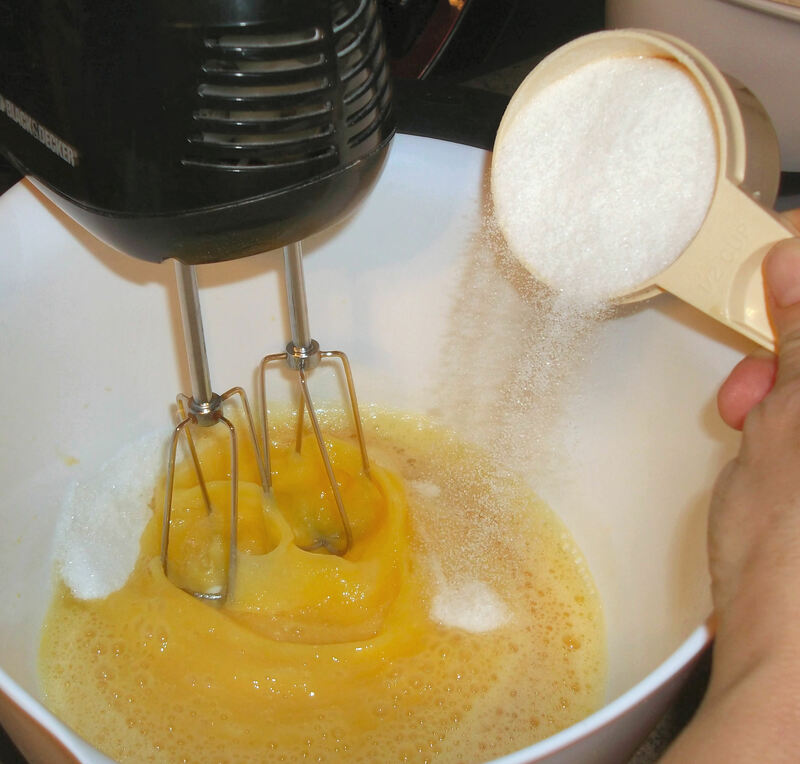 In a large bowl, beat the eggs until they are thick and well mixed, then slowly add the sugar, vanilla and almond extract. 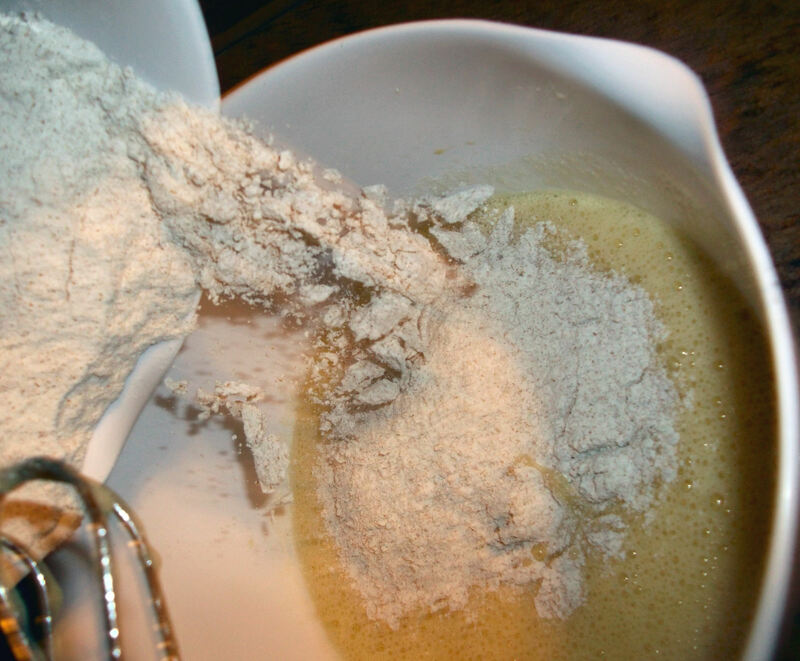 In a medium bowl, whisk the remaining dry ingredients together, then add that to the egg mixture gradually and incorporate it in slowly. Do not over mix. 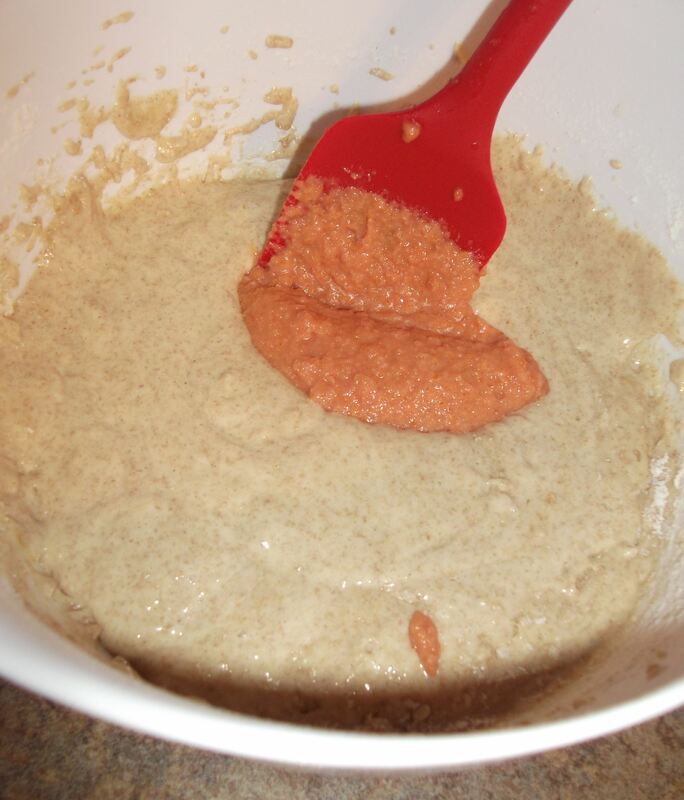 By thirds, add the orange mixture and incorporate, again being careful not to over mix. Pour contents into the greased pan, filling no more than ¾ full, and bake for 50 to 60 minutes, or until a toothpick inserted in the middle of the cake comes out mostly dry. 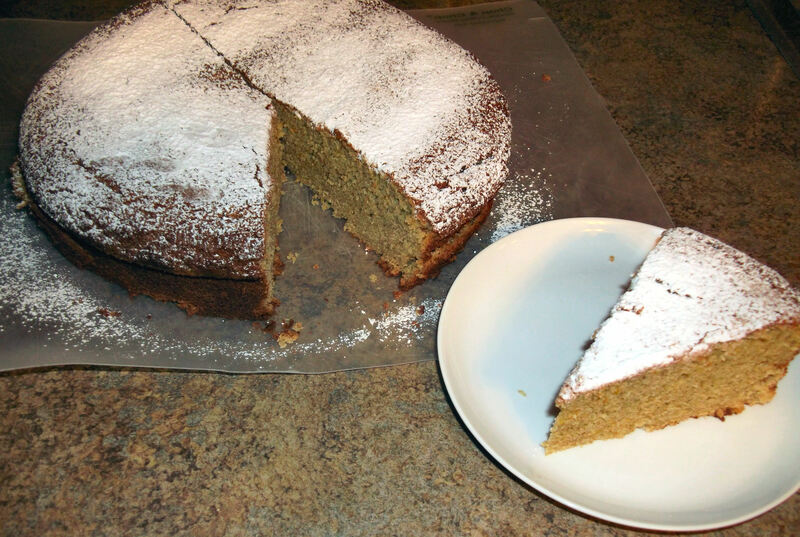 Allow cake to cool, then top with powdered sugar (optional). 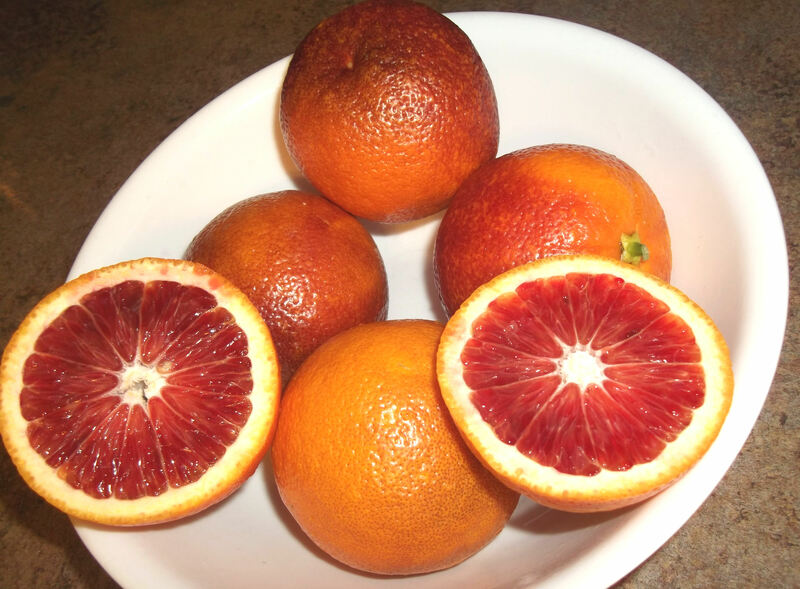 Blood oranges look like regular oranges but have varying degrees of a red tinge to them. 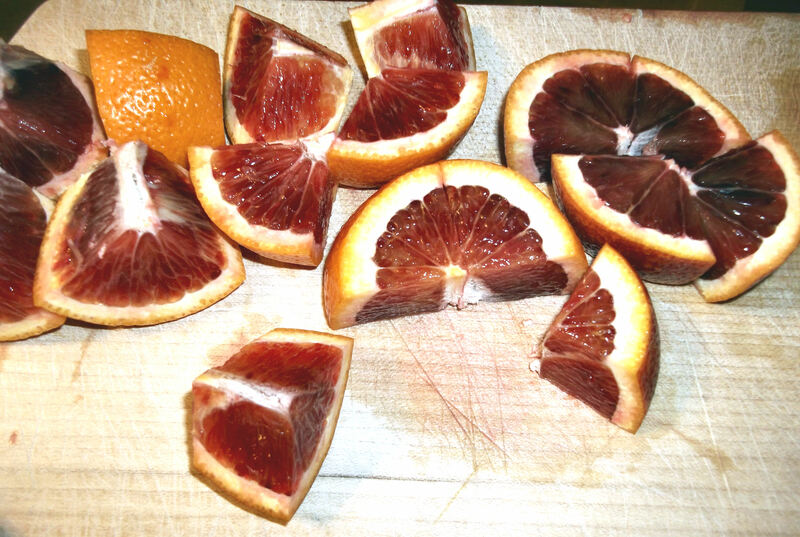 The “blood” in their name refers to their bright red flesh, which is always this deep red color, regardless of the color of the peel. Rinse the oranges and slice off the tops and bottoms, just enough to get to the flesh. 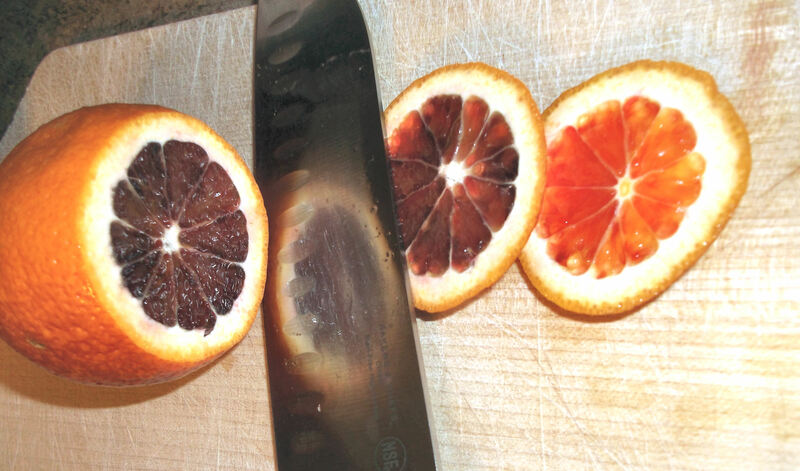 Cut oranges into 1-2” chunks, removing any seeds. Place the pieces in a food processor. 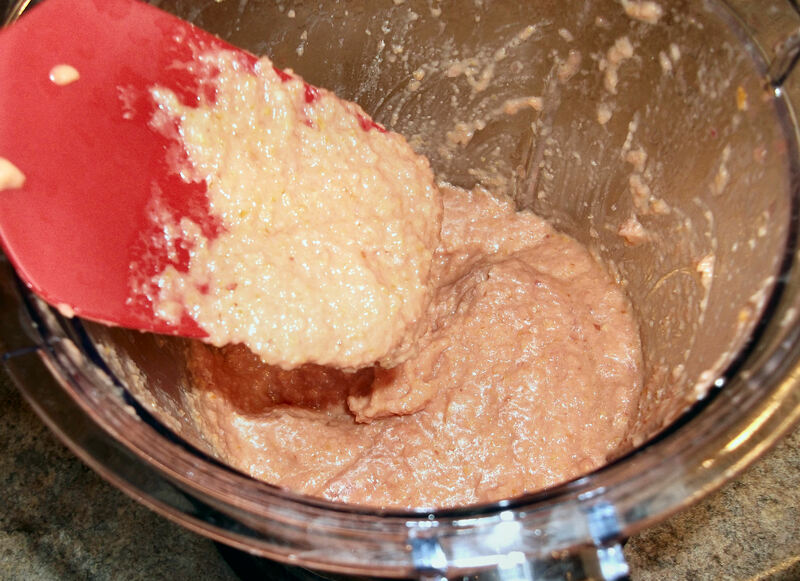 Blend well until they are mostly liquid with some small chunks. 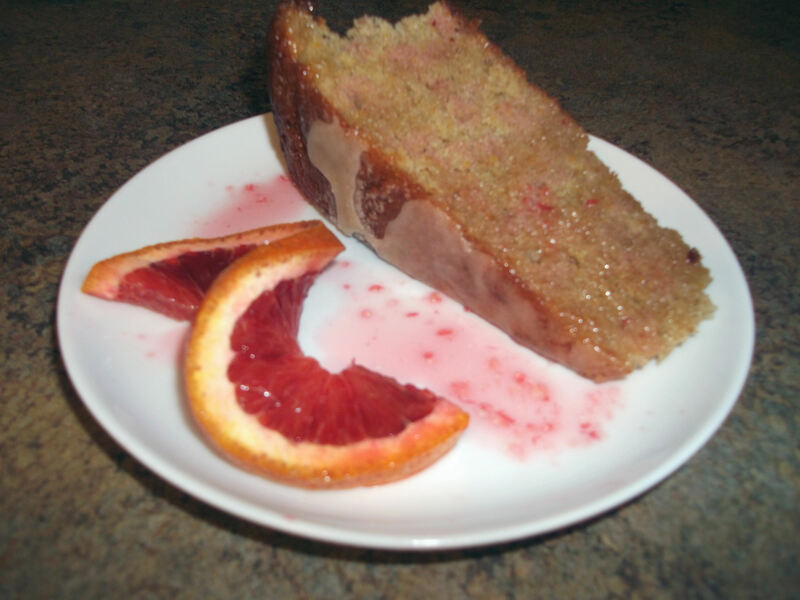 This cake is exceptionally good when made with blood orange extra virgin olive oil. (I get mine locally at The Olive Grove.) 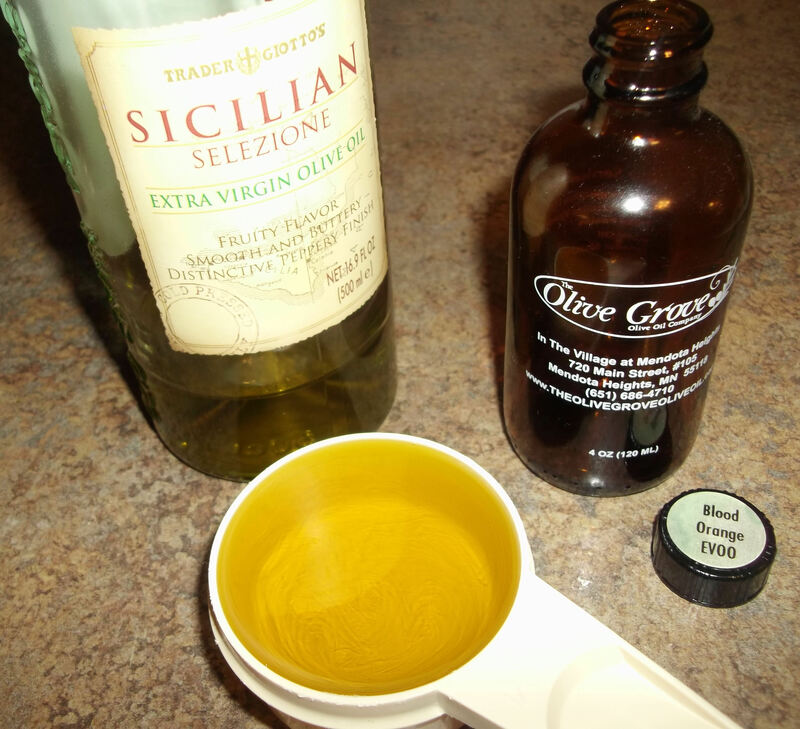 Otherwise, use a fruity, high quality extra virgin olive oil (I love the Sicilian EVOO from Trader Joe’s). Or use a little of each. It’s all good. Add the olive oil to the food processor and blend until the mixture is very smooth. In a large bowl, beat the eggs until they are thick and well mixed, then slowly add the sugar, vanilla and almond extract to the eggs and beat to combine. Whisk the remaining dry ingredients together in a separate bowl and add that mixture gradually to the egg mixture, incorporating it in slowly. 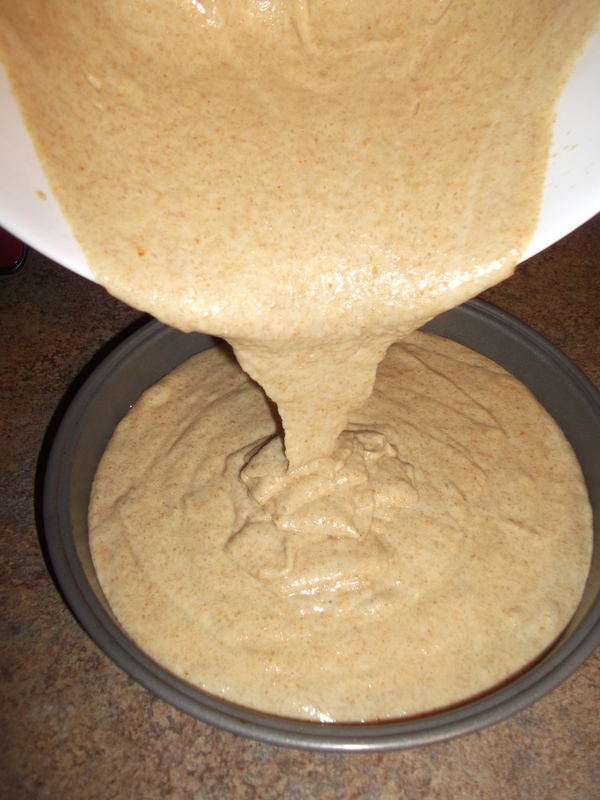 Do not over mix, or too much gluten will develop, which will result in a tougher texture than you want in a cake. By thirds, add the orange mixture and incorporate. Again, be careful not to over mix the batter. I mix on the lowest setting just until mixed. Pour contents into the greased pan, filling no more than ¾ full. I have had cakes rise and rise and then spill all over the bottom of my oven, and it’s not pretty. 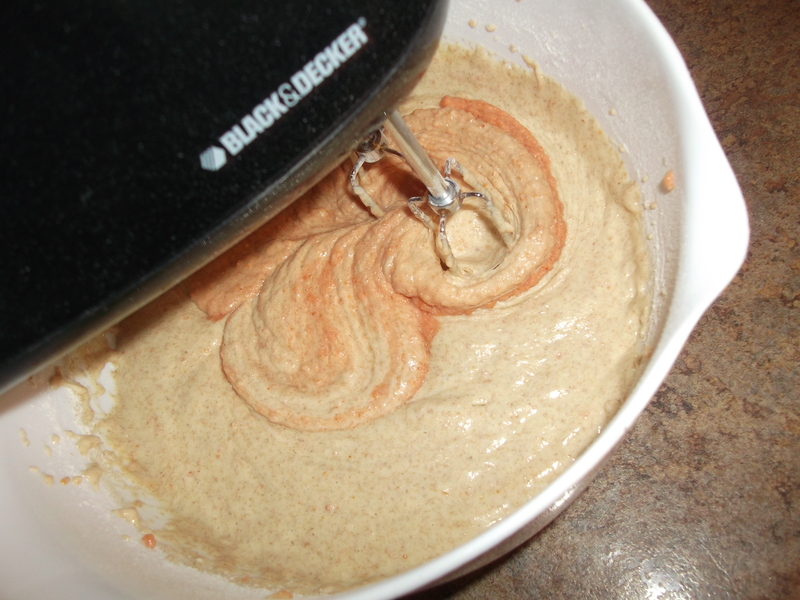 If you have extra batter, just make a couple cupcakes or something. Bake for 50 to 60 minutes, or until a toothpick inserted in the middle of the cake comes out mostly dry. Allow the cake to cool, then top with powdered sugar (optional). Another optional topping is a glaze made with blood orange juice, olive oil and powdered sugar, whisked to the right consistency. For this glaze I juiced two oranges, added about an equal amount (1-2 T or so) of olive oil, then probably double or triple that amount of powdered sugar, and whisked it until smooth. Play around with it. It’s going to taste great no matter what. Enjoy!